Sometimes we spend time decorating and organizing a space just to realize it has been turned upside down by our kids. We love our kids, very much. But at that very moment, it can be a little frustrating. What we realized and accepted with time is that our house will have a certain character, if you will, from our kids touch. We call it organized chaos and we learned to love it. Because we have a little piece of the house that is completely ours, that is organized the way we prefer and decorated with our own personal chaos. Yes we are talking about the master bedroom. For us, the master bedroom used to be a space that was neglected without much character. So we came to the conclusion that we should slowly add our own touches and embrace our personal space. 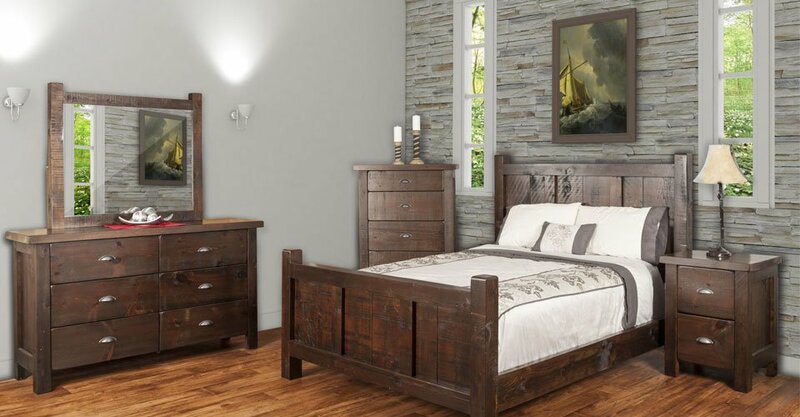 Here are a couple ideas we had for our bedroom, we love the combination of a farmhouse design with a modern twist. A clean breathable design with unique furniture pieces that make a statement. Here are some essential we couldn’t pass up! First of all, we embraced the room by giving it a fresh coat of paint. This step isn’t a must, especially if you have walls you love. But we desperately needed a fresh start from our dated coloured walls. So we decided to go with a gorgeous warm creme shade, it’s more of a subtle yellow. We thought that would be the perfect colour when the sun shines through, the yellow would emphasize the gorgeous sunlight and bring a smile to our faces. Of course, there are many different shades of happy and elegant colours. Take a look at the new Magnolia paint line, it sure is inspiring and perfect for any farmhouse decor! Once we painted the room, it’s time to bring in the cozy furniture pieces that bring out the charming-rustic-farmhouse feel. 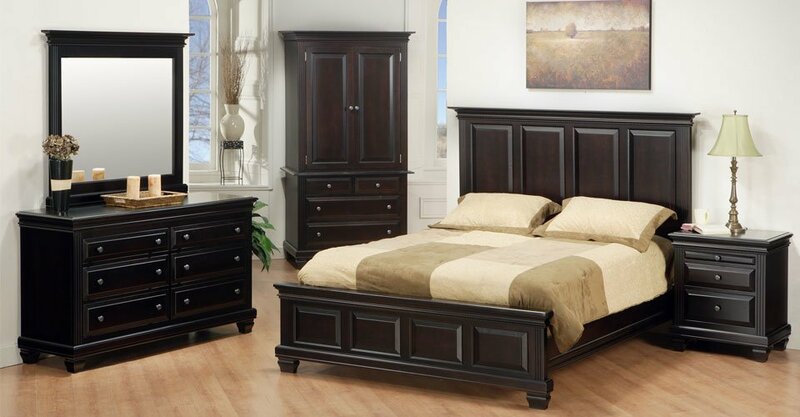 Below you’ll find a few of our favourite bedroom sets that are absolutely stunning! 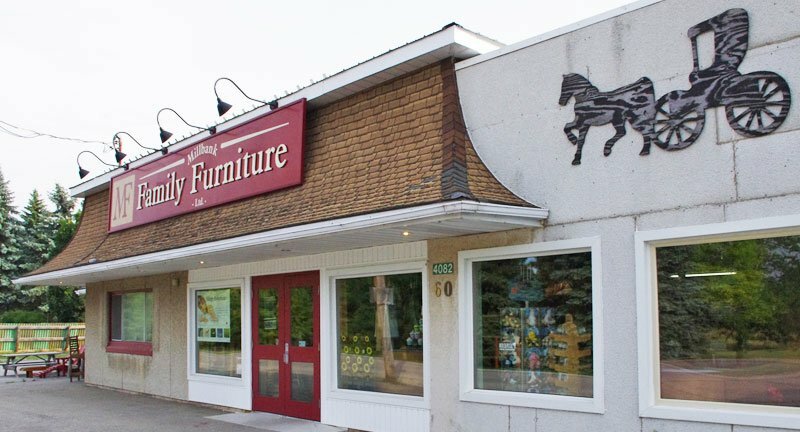 The best part when shopping at Millbank Family Furniture is that the furniture is completely customizable, from stain colours to shapes and sizes. Plus the showroom is filled with gorgeous pieces and a very helpful staff! 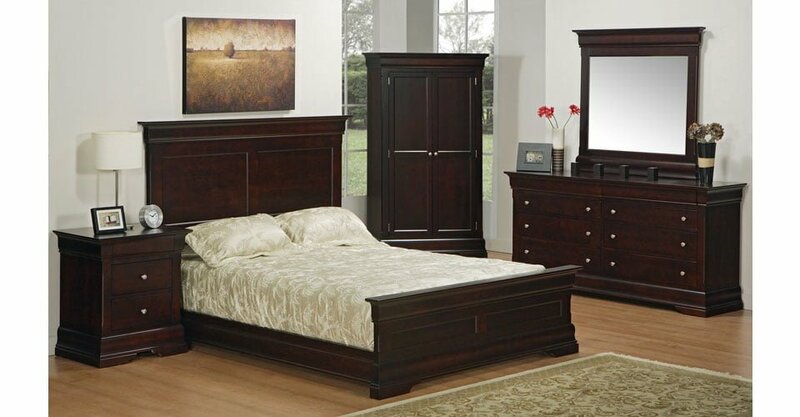 To make the master bedroom complete, adding your own personal decor is essential. We personally love going for that organic outdoor feel. It goes perfectly with that creme-yellow colour on our walls. Plus the solid wood furniture pieces definitely add a rustic charm to the organic theme that make the perfect combination. Going back on adding personal touches, we decided to add a few indoor plants and a few family pictures. To top it off, we thought adding a fireplace would make the bedroom the ideal place to unwind after a long day. So we opted for a furniture piece with a built-in electric fireplace, above it we installed our TV, of course. That’s it folks, there we have our own space for much needed relaxing time after a long day. 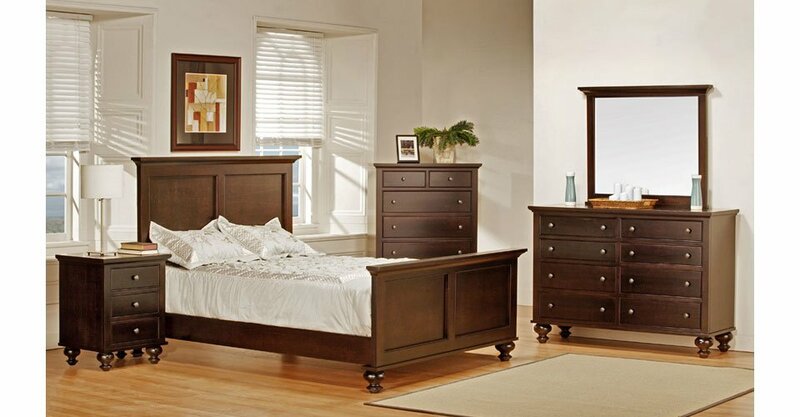 We hope you enjoyed this article and most of all, enjoy your master bedroom to it’s fullest!